Defence and Aerospace Electronics focused company Centum Electronics has opened its 4th manufacturing facility in Bengaluru at the Aerospace Park near Devanahalli. The facility is located approximately around 2 to 3 KMs away from the international airport in Bengaluru. The facility was inaugurated by Mr. Manohar Parrikar, Hon. Minister of Defence, Government of India in the presence of Mr. R.V. Deshpande, Minister for Large and Medium Scale Industries, Infrastructure Development, Government of Karnataka, Dr. S Christopher, Secretary, Department of Defence R&D and Director General, DRDO, Dr. G. Satheesh Reddy, Scientific Advisor to Raksha Mantri. 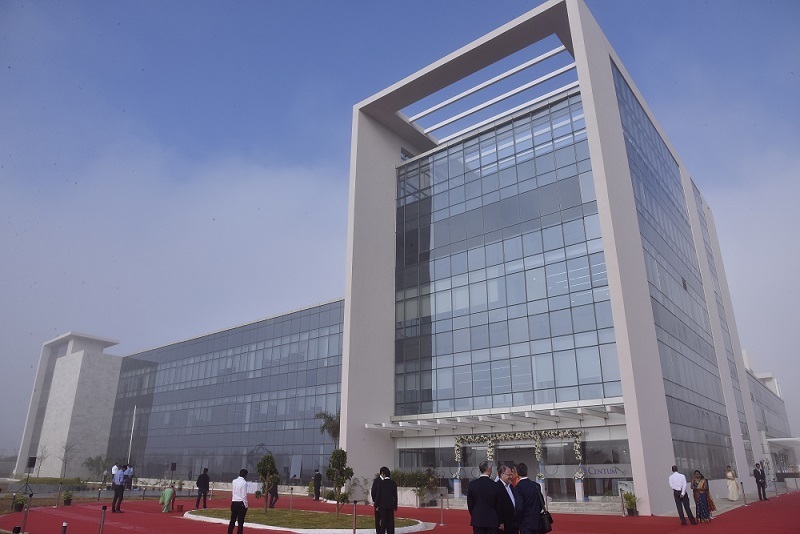 The six acres facility supports full time employment to nearly 750 people for doing activities such as design, manufacturing, factory testing, quality control and advanced manufacturing engineering for Centum’s defence automation business in India and abroad. Bengaluru headquartered Centum generates more revnue from exports than the local domestic market, but supplies key electronics technology sub-systems and components and manufacturing services to local aerospace and defence electronics market. Mr. Apparao Mallavarapu, Chairman and Managing Director, Centum Electronics said, “The aerospace facility is the fourth manufacturing location we have built in India demonstrating our continued commitment to the government’s vision of ‘Make in India.’ Centum Electronics already has a significant presence in Bengaluru with three other facilities fully operational. The investment in the new manufacturing facility represents the potential available in the industry in India and abroad."